Debra Whitman’s fun and lively music appreciation program invites children to explore their natural love for music. 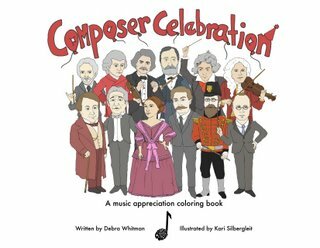 Each week, the life of a great composer will be featured and selections of their famous and familiar classical works highlighted. Children experience the music by conducting, singing and viewing scenes from popular ballets and operas. The young musicians are also encouraged to try a variety of instruments. Using color-coated tone bells and “boomwhackers,” the children learn to play recognizable melodies as soloists and as part of an ensemble. Percussion instruments are also used to teach the basic elements of rhythm and beat. Visit the Composer of the Month Page!